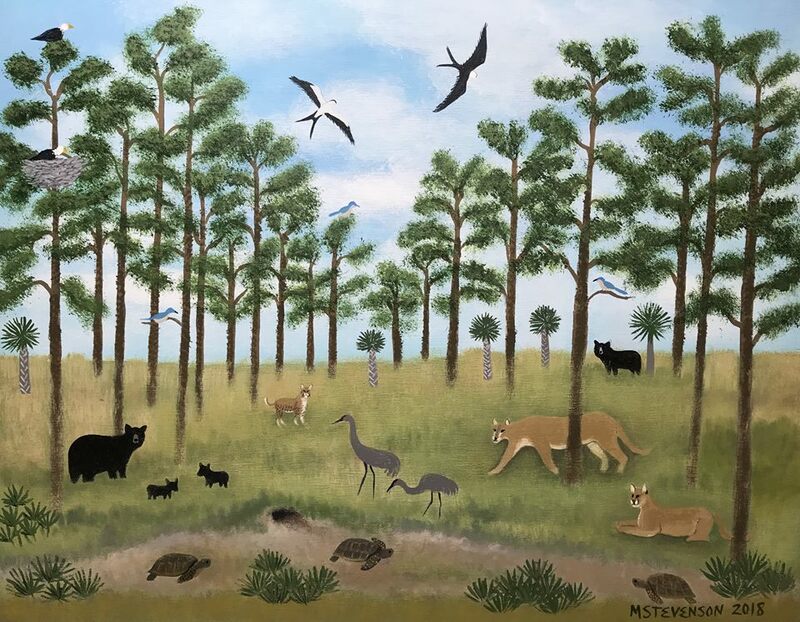 This lovely painting above which depicts some of FL's wildlife was created by folk artist Martha Stevenson who lives part time in Vermont and Venice, FL. We have note cards available and 11' x 14' canvases available for purchase. Please refer to our Fundraising Store II page and/or contact us for more information! Did you know? Florida has one of the densest concentrations of nesting eagles in the lower 48 states, with over 1,000 nesting pairs. Concentrations of nesting territories are clustered around several significant wetland systems throughout the state.